Moise Bioty Kean, professionally known as Moise Kean is an Italian professional football player. He currently plays for the Italian club Juventus and the Italy national team. His plays as a striker. He was the first player born in the 2000s to make an appearance in one of Europe's five major leagues, to make an appearance in the UEFA Champions League, to score a goal in a Europe's five major leagues, and to score a goal for the Italy national team. He previously represented Italy under different age levels and has already scored for Italy's senior team. He has over 845k followers on his Instagram. Moise Kean who has been in the spotlight has shown his great potential to become one of the best footballers in the world. 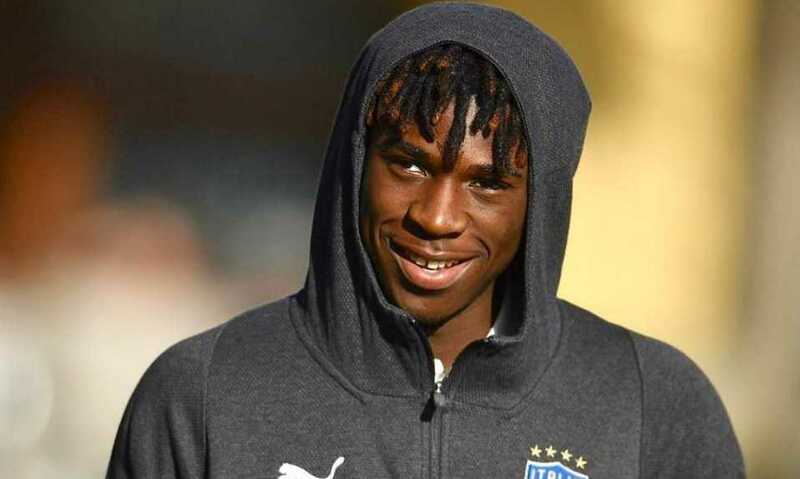 While there is an international break, Moise Kean scored in 2 matches his country, Italy played for the UEFA Euro 2020 qualifier. Moise scored his first goal for Italy in a 2-0 home win over Finland on 23 March 2019 becoming the youngest player for the Italian team in over 60 years. He remained in the spotlight after scoring his second international goal for the Italian senior team in their 6-0 home win over Liechtenstein. The 19-year-old striker has already scored 3 goals in just 7 appearances for Juventus. His contract ends at the end of the season. Juventus surely wants to keep this wonder kid. Juventus really has to offer a lucrative deal to keep Kean with them. Moise Kean was born on 28 February 2000. His birth name is Moise Bioty Kean. He was born to Ivorian parents, Biorou Kean, and Isabelle Kean. He belongs to African ethnicity. His birth place is in Vercelli in Italy. He holds Italian natonality. His zodiac sign is Pisces. He has an older brother named Giovanni. Other information regarding his education is not available at present. Renato Biasi first noticed Kean. Renato inserted him in the youth teams of Asti. Kean was then offered to Torino. However, he was signed by Torino's cross-city rivals Juventus. The contract is annual and in constant renewal until Kean is of 14 years of age. 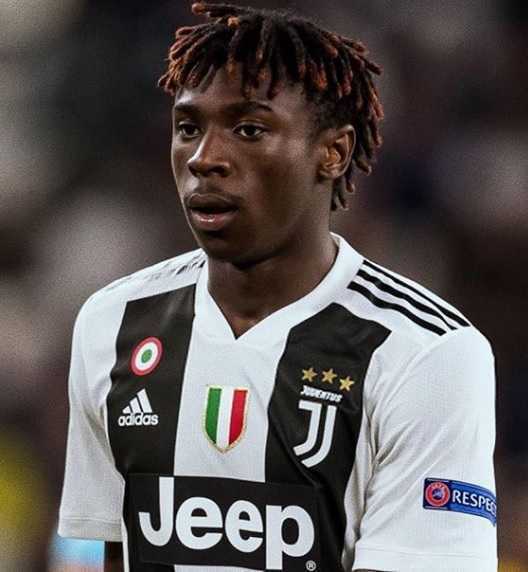 Kean made his professional debut for Juventus in November 2019 against Pescara in Serie A. He came on in as a substitute in the 84th minute for Mario Mandzukic. Thus, he became the first player born in the 2000s to compete in one of Europe's four major leagues. He became the first player born in the 2000s play in the UEFA Champions Leauge in November 2016 when he came on in as a substitute in the 84th minute against Sevilla. He became the first player born in the 2000s to score a goal in one of Europe's five major leagues when he scored his first goal for Juventus against Bologna in May 2017. Juventus extended his contract until June 2020 and then loaned him to Hellas Verona on a one-year deal. He made his Verona debut in September 2017 against Fiorentina. He scored his first Verona goal against Torino in October 2017. He scored his career-first Serie A brace against Fiorentina in January 2018. He became the only second player born in the 2000s after Pietro Pellegri to have done so. He made 20 total competitive appearances scoring 4 times for his club. He scored two goals in the first half against Udinese in March 2019. His father is from Ivory Coast. Thus, he was eligible to play for both the Italy and Ivory Coast. He chose to represent Italy. He has represented Italy at different age levels. He has represented Italy U15 national team. He scored a goal each for Italy U17 national team at the 2016 and 2017 editions of the UEFA European U17 Championships. He was a key player in the Italy U19 team that reached the 2018 UEFA European U19 Championship final. In the final against Portugal, he scored 2 goals in the second half to take the match into the extra time. Italy eventually lost 3-4 to Portugal. He made his Italy U21 team debut in October 2018. The Italian national team manager Roberto Mancini called Kean to their senior team in November 2018. He made his senior team debut in a friendly match against the United States. He was 18 years and 265 days old. He scored his first goal for the Italian senior team in March 2019 in UEFA Euro 2020 qualifier against Finland. Who Is Moise Kean Dating? Moise Kean is an aspiring young player. He is too young to be in a committed relationship. He is reportedly single. He might or might not be dating someone. No rumors regarding his affair have surfaced yet. He is focused on his football career at present. How Tall is Moise Kean? Moise Kean stands at a height of 1.82 m i.e. 5 feet and 11 and a half inches tall. He has a body weight of 67 kg. He has an athletic body build. He has black eyes and his hair color is also black. What is Moise Kean's Net Worth? Moise Kean is an aspiring player. He is one of the wonder kid rising in football. With his talent, skills, and ability, he might land large deals in the near future. Playing football is his main source of income. His earning comes from salary, bonuses, and endorsements if any. As of 2019, his net worth is under evaluation. It will be updated soon. His older brother Giovanni is also a footballer. He grew up a supporter of Inter Milan and idolized striker Obafemi Martins.